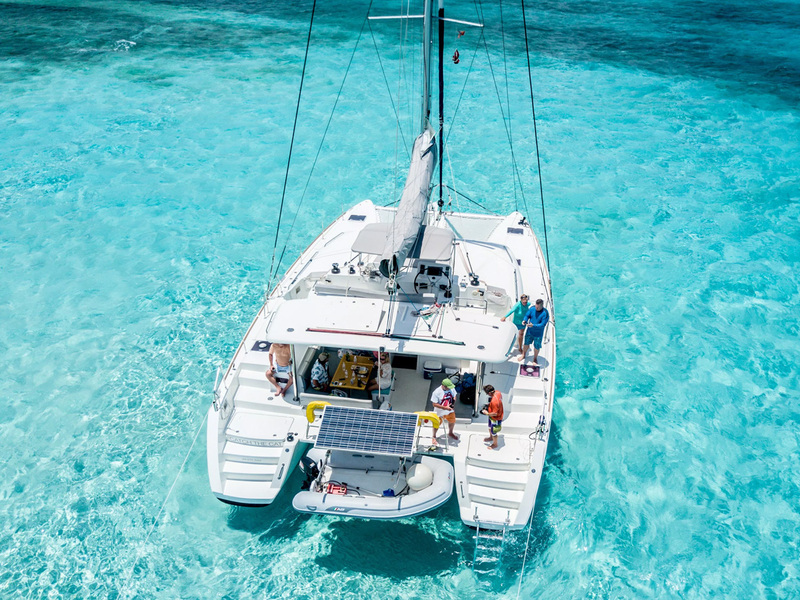 This Lagoon Sailing catamaran is ideally suited for snorkeling, diving, fishing and sightseeing trips and is a very luxurious way of exploring the Island. 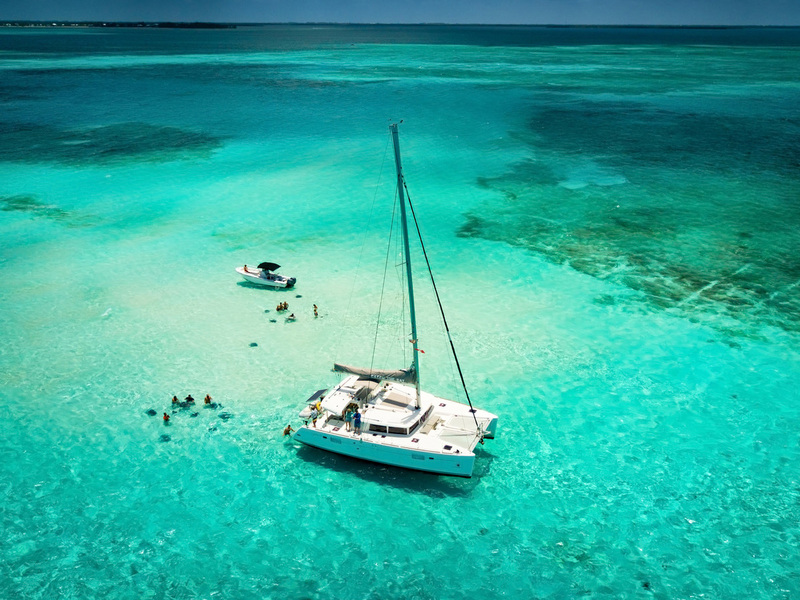 The experienced crew knows the local waters and diving/snorkeling spots. 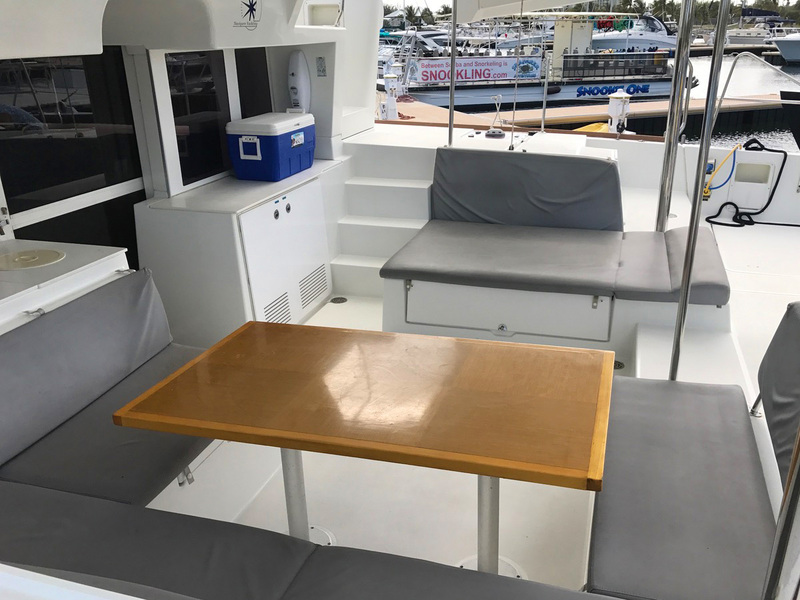 The boat is suitable for a max of 20 guest/snorkelers and comes with a captain and divemaster or host. 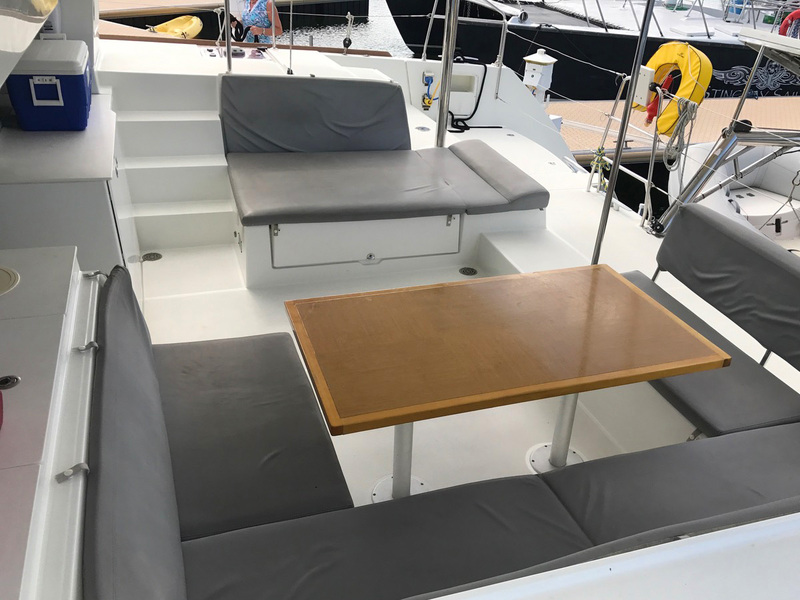 The Lagoon 450 is the perfect yacht for those looking for maximum space on board and comfortable sailing. The boat sets the standard for build quality, fit and finish, performance and looks. The raised helm is very comfortable for offshore sailing. The proximity of the helm station to the main living area is the perfect helm person and guests to interact. The easy connection between the helm station, the cockpit and the top of the coach roof is convenient and safe. 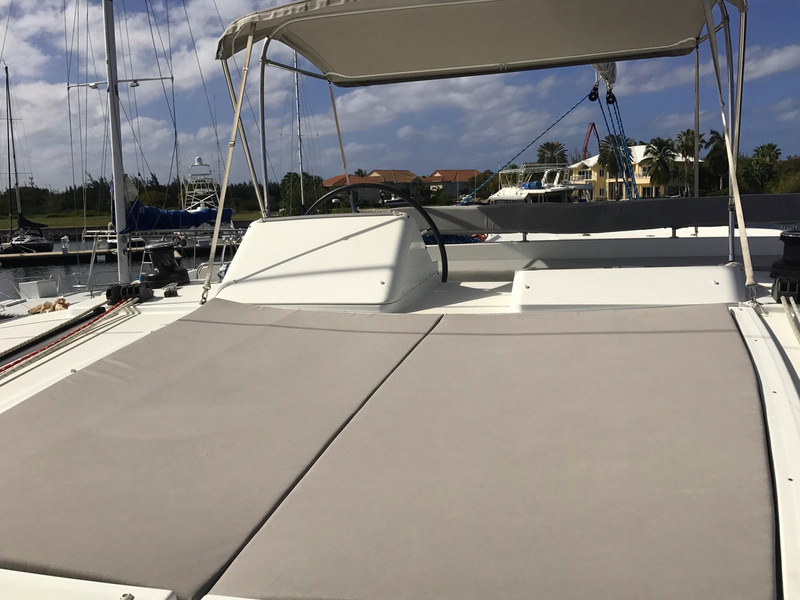 The hard-top bimini over the helm offers protection from sun and wind with the enclosure. The opening guardrail on the side of the helm station protects the passengers in rough weather. This trip is a 4 hour Deep Sea Fishing Trip were we target the main fish species that are abundant around Grand Cayman; Marlin, Dolphin Fish, Tuna, Barracuda and Wahoo. Fishing starts only a half mile from shore already since the Cayman waters are extremely deep close to shore. This trip is a 8 hour Deep Sea Fishing Trip were we target the main fish species that are abundant around Grand Cayman; Marlin, Dolphin Fish, Tuna, Barracuda and Wahoo. Fishing starts only a half mile from shore already since the Cayman waters are extremely deep close to shore. 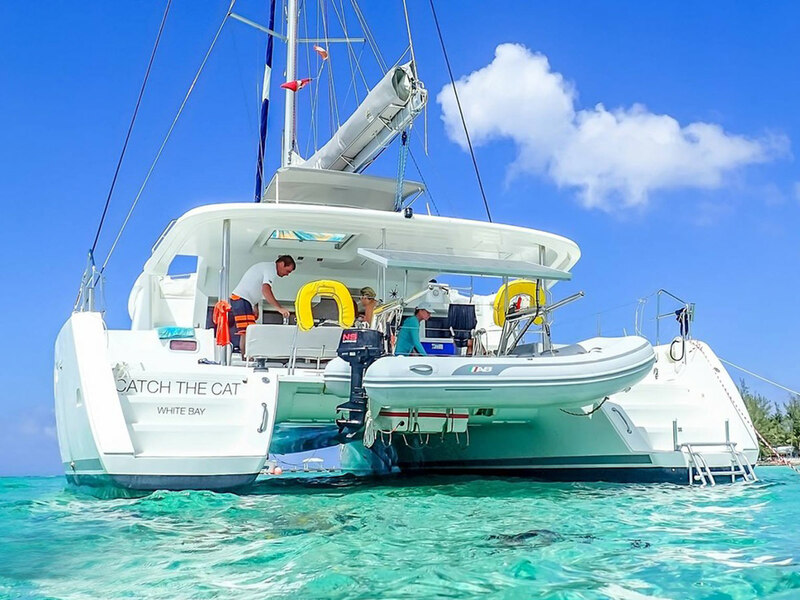 Book our luxury sailing catamaran that comfortably sleeps 8 guest and choose your own itinerary.